I never forget when I took this pic. 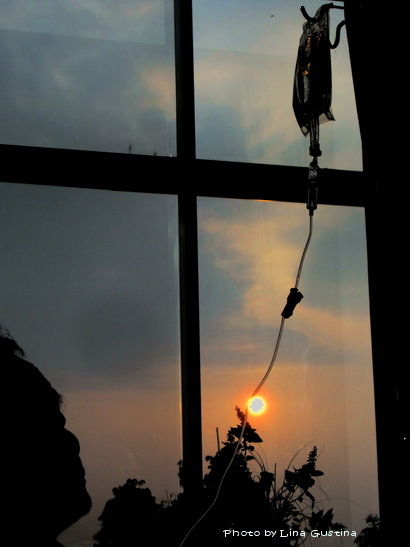 The sunrise seen through the room window in one early morning was taken when my late dad hospitalized there. The silhouettes of dad’s face made this pic worth to keep. Beautiful shot, and it has a very special meaning to you which is nice. I like that you captured this through the window. Hello Lina, what a lovely sunrise. It is a special photo, definitely a keeper. Have a happy weekend! What a special photograph to remember your dad by. A poignant, sweet, sad photo.